Donald Glover, known as Childish Gambino on the music scene, is something of a modern day Renaissance man, having received awards for his writing on the TV show “30 Rock,” acted on another show “Community,” performed stand-up on Comedy Central and most recently, declared his main objective in life to be a rap artist. He then tried to overhaul his entire image of making “indie hip hop/nerd rap,” (rap centered around pop-culture references) by releasing the mixtape “ROYALTY.” This featured some of hip hop’s greatest icons such as Bun B, the Wu-Tang Clan’s RZA and Ghostface Killah, thus legitimizing Gambino as a true rap artist. Since then, Gambino has continued to take steps to solidify his place in hip hop with his most commercially successful release yet, “Because the Internet,” and now, nearly 10 months later, “STN MTN/Kauai.” Featuring DJ Drama on the beats, “STN MTN,” a free mixtape, came out on Oct. 2 on various free music sites, and “Kauai,” an EP, was released on Oct. 3 via his label, Glassnote. (Note: EP stands for “Extended Play” and is essentially a mid-length album). One of the most significant facets of this double-EP-mixtape is that one half is entirely rap while the other is pop/R&B. Gambino’s decision to separate what he usually melds together on his projects leads to a confounding question: Doesn’t this resemble OutKast’s ‘Speakerboxxx/The Love Below? Gambino has made it known in his music and in multiple interviews that he has always been a huge fan of Outkast and the southern rap scene. However, he emphasizes that he feels a lack of acceptance by the South despite having grown up there, seemingly because people don’t perceive him as “black enough” due to his aforementioned attempts at nerd rap, as opposed to more traditional forms of hip hop, such as gangsta rap. On the free mixtape, Gambino shows his southern pride by not only titling it “STN MTN” (as in Stone Mountain, Georgia, where he was raised) but also by paying respect to numerous southern rappers by sampling their beats. From the ample references to southern rap lore (ex: “I’m Dopalicious like Spottie Ottie” — a song by OutKast), to the album structure resembling OutKast’s 2003 magnum opus, it is plain to see that Gambino’s main goal is to establish his connection to the south. Now, the sentiment is great, and I completely support his desire to redefine himself, but in the case of “STN MTN,” Gambino’s lyrical abilities often fall short, thus weakening his message considerably, since you would expect him to be showing off his best rhymes. In multiple cases his lyrics are oversimplified, his subject matter is repetitive, and he relies most of the time on Lil’ Wayne-esque simile raps. He does show his comedic and intellectual side occasionally with some witty punch-lines like “Money is in my jeans [genes], best believe that it’s passed down [hand-me-downs];” however, this is lost in a sea of cringe-worthy content, like “more green than a spaceship” and “flow so cold watch them haters get asthma.” Gambino’s southern cadence on the mic provides a silver lining at certain points, which appropriately adds to his intentions of making a southern-themed mixtape. His charisma, confidence and overall energy, truth be told, is rather infectious as well. 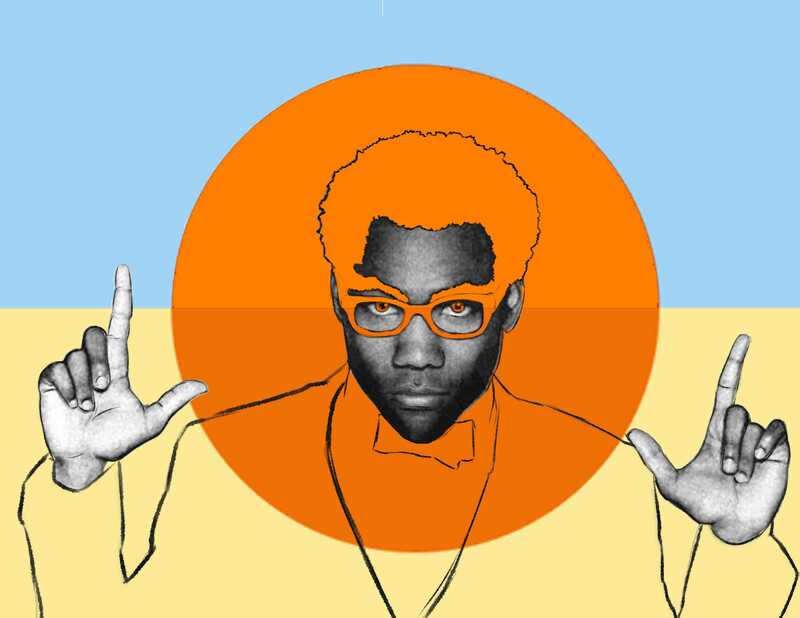 On the EP portion, though, Gambino does a 180-degree turn and displays a different side of his musical personality. As the title may suggest, “Kauai” showcases a more toned down Gambino and immerses its listeners in feel-good vibes — imagine playing beach volleyball on the sandy shores of Kauai with your friends while the waves crash in the background and the sun warms your backs. On “Kauai,” Gambino does what André 3000 did on “The Love Below” by prioritizing melody and chorus over actual rapping. That is as far as the comparison can go unfortunately, because Gambino’s lyrical content takes a turn for the worst, referencing “love” in almost every song and consisting largely of non-substantiating and vapid content. Sonically, the EP bubbles with poppy choruses, R&B and hip hop inspired production, and soulful vocals. In fact, the chorus of the song “Pop Thieves” continuously repeats the phrase “feel good,” almost hinting at the fact that this is nothing more than that — feel-good music. Beat wise, this EP actually has some great songs, like “Poke,” featuring Gambino’s cousin, Steve G Lover III. The production combines punchy drums and looped echoing high notes to accompany the hand percussions, progressively turning into a faster-paced beat with choir-esque background vocals provided by Gambino himself. Overall, this is an ambitious undertaking by Gambino, but in the end, he does not deliver as much as I had hoped. However, it seems that Gambino himself has no regrets about this release, for he opens “STN MTN” with a skit about him dreaming about his idealized world, and then at the very end of the tape, he says, “And then I woke up,” implying that everything that happened in between was him living out his dreams and finding happiness through music.